A two-season-old partnership between The University of Toledo and WGTE Public Media is earning accolades for television excellence. The monthly student-hosted and reported science-and-technology-focused, magazine-style program, “Plugged-In,” earned an Emmy Award in the informational/instructional program series or special category June 19 from the Lower Great Lakes Chapter of the organization. 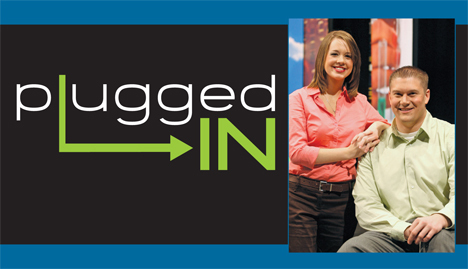 “Plugged-In” explores the latest innovations in technology and research in northwest Ohio and airs the third Wednesday of each month on WGTE. Each episode presents four stories, with UT students presenting all aspects of the program. 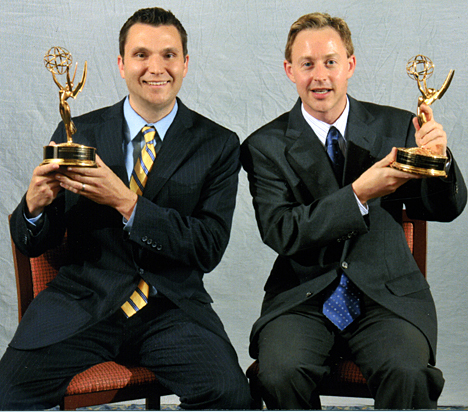 Darren LaShelle, executive producer, and Darin Hohman, segment producer, received the award. To view previous segments from the show, visit youtube.com/utoledo and click on the “Plugged-In” channel along the right side of the page. This entry was posted on Wednesday, June 30th, 2010 at 5:44 am and is filed under News, UToday .